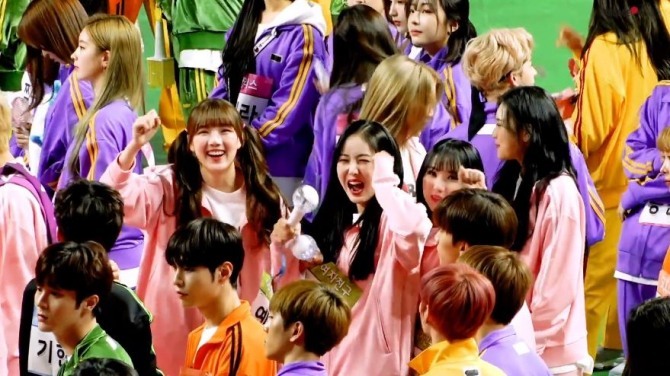 K-pop girl group GFriend showed around the backstage of MBC’s 2019 Idol Star Athletics Championships via the V app Wednesday. 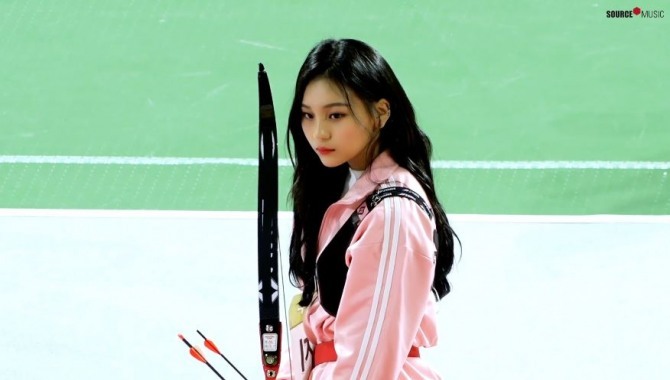 “Celebrating the Year of the Pig, the members dressed up in pink,” Umji said, pointing to her jersey. 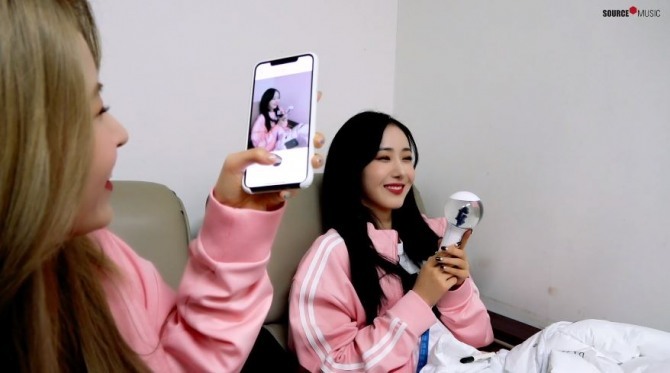 SinB wrote “Stay together, stay warm” on one of their fans’ glass marble light sticks. The bandmates, who were on the field, played with fans seated in the cheering section. 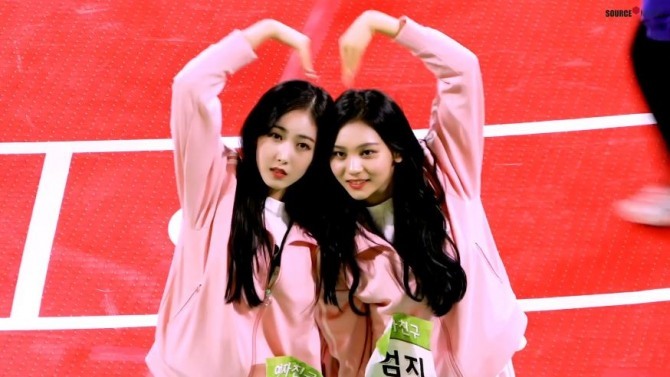 Male voices shouting “GFriend” were loud enough to deafen out other sounds. 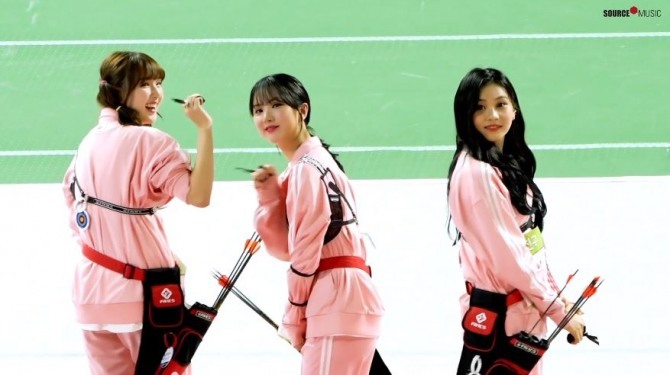 During the break, Eunha, Umji and Yerin practiced archery, which they later played for real in the championship. The group unfortunately failed to win, but their communication with fans on the scene was at its best. 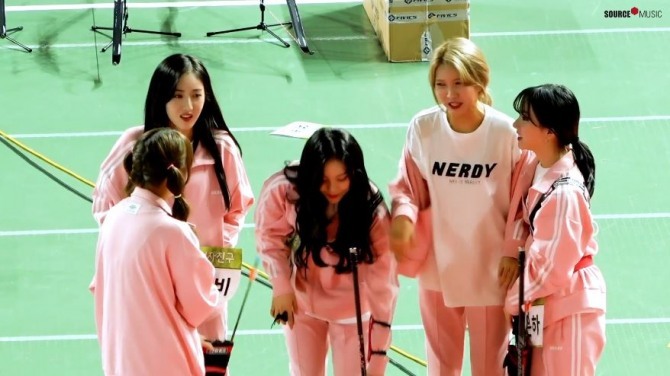 Between competitions, the bandmates danced for fans, and even afterward they stayed on the field waving to fans and expressing their love and appreciation. 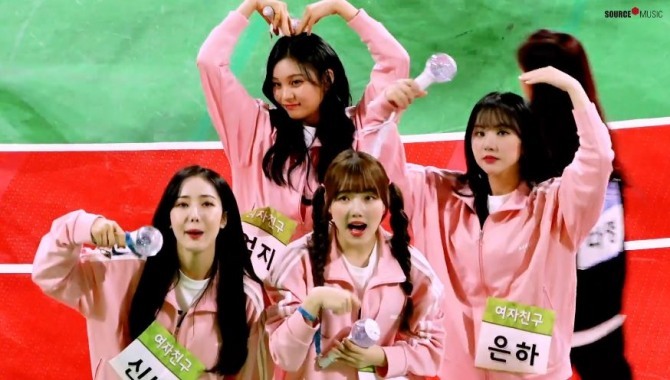 Watch GFriend at the Idol Star Athletics Championship at https://www.vlive.tv/video/112130.